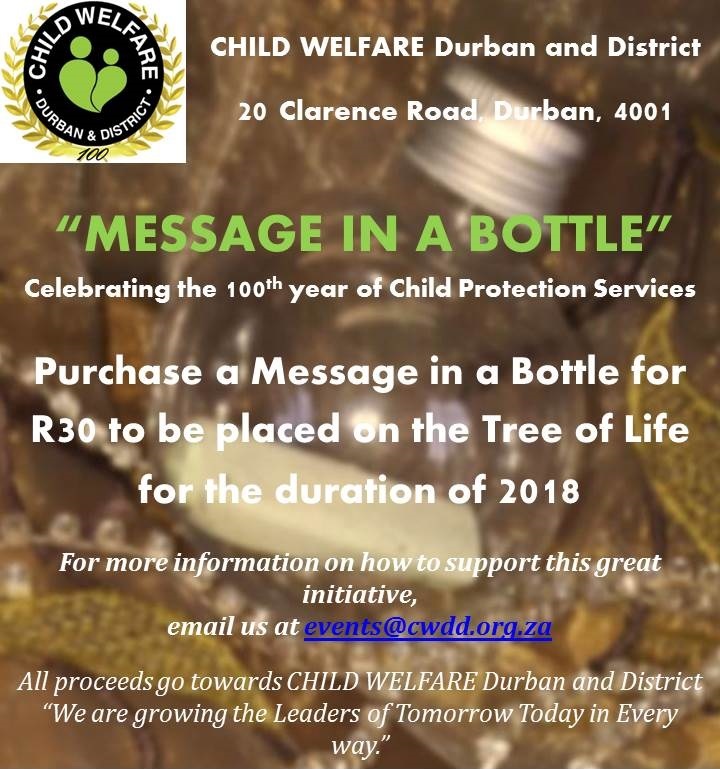 To celebrate the start of the 100th year of Child Protection services, CHILD WELFARE Durban and District will be hanging messages in bottles on the Tree of Life throughout the year of 2018 at our Head Offices situated at 20 Clarence Road, Durban. 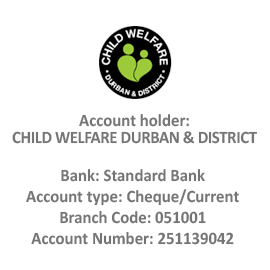 Kindly support our “Message in a Bottle” initiative by purchasing a bottle at R30.00 and send us your personal message to your children, grandchildren, nieces, nephews, friends and/or our children via email at events@cwdd.org.za. 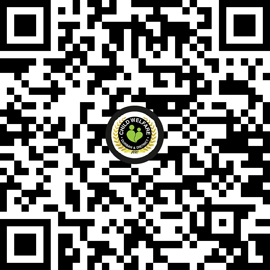 Please do not hesitate to email us with all your enquiries. “We are growing the Leaders of Tomorrow Today in Every way”.